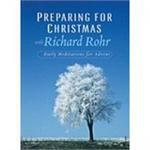 Catholic Advent CDs, Devotions, Readings, Reflections, Prayers & Songs to help you celebrate the Holy Season of Advent. Pray your Advent Journey with Joan Chittister's Sparks of Advent Light or Richard Rohr's Preparing For Christmas: Daily Reflections for Advent. Sing the Advent Songs of Dan Schutte, John Foley, the St. Louis Jesuits, John Michael Talbot and the Monks of Weston Priory. Join Gretchen Harris as she Sings the Songs of Mary: Be It Done Unto Me, Breath of Heaven, Hail Mary Gentle Woman. An Advent Concert of World Music! Un magnífico recurso para la oración personal, este 80 atractivo bolsillo de tamaño de página folleto es un complemento perfecto para su preparación de Adviento. A wonderful resource for personal prayer, this attractive 80-page pocket-sized booklet is a perfect companion for your Advent preparation. 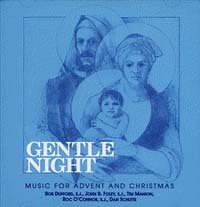 Includes: As the Night Begins, God Will Be With Me, Morning Softly Awakens, and Shepherds and Kings. Includes: Come Weal Come Woe, Patience People, The Beautiful Mother, The People that Walk in Darkness, and Gentle Night. Includes: Hail Mary Gentle Woman, Magnificat, Holy Is His Name, A Woman Clothed With The Son, Ave Maria, and O Holy Mary. Includes: O Poor Little Jesus, Christ Our Light, O Loving Mother, Take Comfort My People, and I Will Listen to the Voice of the Lord. Includes: Come Lord Jesus, Song of Mary, A Time Will Come for Singing and Prince of Peace. Includes: O Mary Tell Us, The Promise of the Lord, Unless You Lead Me On, Who Is This Woman, and Like Winter Waiting.